Ask residents of Cypress Lakes and they will say their community is one of the best places to retire in Florida. This 55+ community in Lakeland – which is owned and managed by award-winning developer Blair Group – is populated not just by retirees but also active adults still in the workforce who simply desire to lead the type of lifestyle that a community like Cypress Lakes affords. What, specifically, makes Cypress Lakes so special? 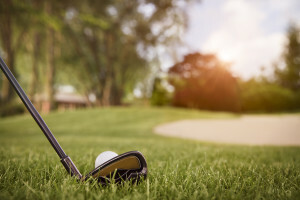 One of the major draws of our community is the fact that we have not one but two 18-hole golf courses. The South Course is an impressive 6,650-yard layout that can test the abilities of even a low-handicap golfer. It features diamond zoysia greens and has been recognized by the likes of Golf Digest, Florida Golfer, and Senior Golfer. The North Course is an executive-length par 60 and measures 3,494 yards. This Chip Powell-designed track is great for beginner golfers and also for anyone looking to play a full 18 holes in just a couple of hours. The easiest way to learn more about Cypress Lakes and why it is deserving of being called one of the best places to retire in Florida is to schedule a tour and speak with some of our residents about their experiences. Contact our Lifestyle Team today.